The chemical constituents of n-hexane extract of S. prostrata WILLD. subsp. anatolica HEDGE which is an endemic species to Turkey was determined using GC-MS analysis. Twenty six components were identified with alpha-linolenic acid methyl ester and palmitic acid methyl ester as the most abundant components. 1. Davis, P.H. Flora of Turkey and East Aegean Islands; Edinburgh University Press: Edinburgh, UK, 1967; 2, 147 pp. 2. 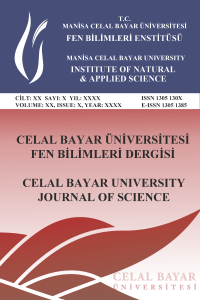 TÜBİVES, (http://turkherb.ibu.edu.tr/index.php?sayfa=1 &tax_id=1501), 31 Ocak 2015. 3. Duke, J. A. Handbook of Medicinal Herbs; CRC Press: Boca Raton, FL, 1985; 681pp. 4. Hickie, R.; Balsevich, J.; Ramirez-Erosa, I.; Dunlop, D.; Bishop, G.; Deibert, L.; Arnison, P. Saponin Extract from Saponaria Spp.and Us-es Thereof. National Research Council of Canada: US 2011/0230430 A1, 2011. 5. Balsevich, J. J.; Ramirez-Erosa, I.; Hickie, R. A.; Dunlop, D. M.; Bishop, G. G.; Deibert, L. K. Antiproliferative activity of Saponaria vaccaria constituents and related compounds. Fitoterapia. 2012, 83(1), 170-181. 6. Bogoiavlenskiĭ , A. P.; Berezin, V. E.; Ogneva, A. V.; Tolmacheva, V. P.; Digel, I. E.; Khudiakova, S. S. Immunostimulating activity of a saponin-containing extract of Saponaria officinalis. Voprosy Viruso-loji. 1999, 44(5), 229-232. 7. Koike, K.; Jia, Z.; Nikaido, T. New Triterpenoid Saponins and Sapogenins from Saponaria officinalis. Journal of Natural Products, 1999, 62(12), 1655-1659. 8. Kazmi, S. N. H.; Ahmed, Z.; Malik, A. Sapxanthone, a pentasubsti-tuted xanthone from Saponaria vaccaria. Phytochemistry, 1989, 28(12), 3572-3574. 9. Kumar, P.; Khanna, P. Flavonoids from Saponaria vaccaria Linn. Indian Journal of Plant Physiology, 1994, 37(2), 76-78. 10. Polito, L.; Bortolotti, M.; Pedrazzi, M.; Bolognesi, A. Immunotoxins and Other Conjugates Containing Saporin-S6 for Cancer Therapy. Toxins, 2011, 3, 697-720. 11. Kazmi, S. N. H.; Ahmed, Z.; Malik, A. Vaccariose, a new oligo-saccharide from Saponaria vaccaria. Fitoterapia. 1990, 61(3), 223-225. 12. Eroğlu, V. (http://www.treknature.com/gallery/photo 260362.htm), 30 Ocak 2015. 13.	International Olive Oil Council (2001). Method of Analysis. Interna-tional Olive Oil Council COI/T. 20/ Doc. no. 24. 14. Paquat, C.;, Hautfenne, A. International Union of Pure and Applied Chemistry. Blackwell Scientific Publications, London. 1992.